Karnal is famous city of Haryana state in India. It is named after "Danveer Anga-Raj Karna" which was the king of this ancient city namely Anga in the era of Mahabharta, that is why it is also called Karna Bhumi. Karnal is the Smart City of Haryana as declared by government and progressing on a very fast pace. It is one of the main districts of Haryana and lies on Western Bank side of the Yamuna River. It also has the importance because it is situated on GT Road and National Highway No. 44 (NH-44) i.e. old NH-1 which connects it to the major cities of India including Delhi & Ambala. It is also known worldwide due to its rice products, lather products and agriculture equipments. Famous research institutes of India are also situated in Karnal namely National Dairy Research Institute (NDRI), Central Soil Salinity Research Institute (CSSRI), Directorate of Wheat Research (DWR), Sugarcane Breeding Institute and National Bureau of Animal Genetics Resources (NBAGR). Recently a medical college has also been made in this city named Kalpna Chawla Medical College Karnal. Karnal is developing itself as a modern city of Haryana as it consists of multiplexes, shopping malls, urban estate and housing societies. 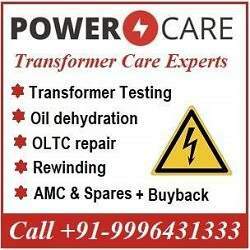 Most of big companies and MNCs are having their regional offices or branch office in Karnal which makes this city famous all over India. Karnal is well accessed by other parts of India as it is well connected to the rest of the country by road, rail and air. So we can say that the history of Karnal has its own importance because it is attached with the Kaurvas and Mahabharta. There are many point of attractions which tourists like most to visit and even local people also love to visit them on week ends. People feel relaxed and enjoy a lot on these tourist spots in Karnal. Karna Lake, Karna Tal, NDRI, Rose Garden Sector 12, Atal Park Sec 8 and sec 12 city center are the main point of attraction where one can see the crowd in the evenings particularly during week ends. Karnal always remains full of events. One or the other event and celebration are taking place in Karnal city always. 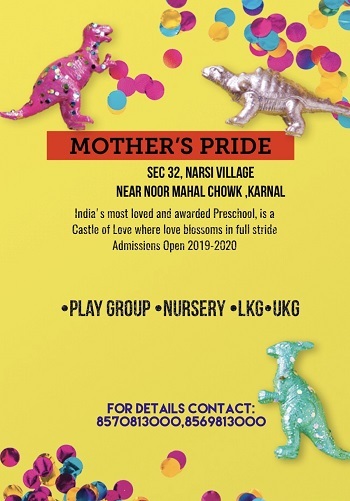 Read more about events in Karnal as events are listed in descending order here and can be viewed very easily. Good hotels are the glamour and pride of a city. All type of hotels can be found in Karnal including budget hotels and luxury hotels. These hotels are situated in the prime locations of Karnal. Everyone feels need of restaurant when get hungry or need a refreshment. Karnal has too many local and branded restaurants in the city and outer high-way area. Entertainment is an important part of daily life, Watch movies in Karnal with friends and family for entertainment. Karnal has multi-screen cinema multiplexes for you to watch movies. Night life in Karnal is also important and night life in Karnal is very enjoying, it has many Clubs, Pubs and Discos. You will surly enjoy your evening and night in these Clubs, Pubs and bars. 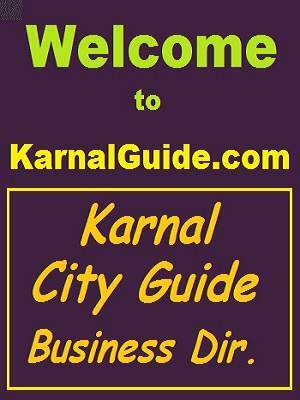 KarnalGuide.com is No.-1 website & business directory of Karnal city and it is launched in new Avtar now..
Trending news and Latest happening in Karnal city, latest information collected from colonies and streets of Karnal..